Uttermost's rugs combine premium quality materials with unique high-style design. With the advanced product engineering and packaging reinforcement, Uttermost maintains some of the lowest damage rates in the industry. Each product is designed, manufactured and packaged with shipping in mind. 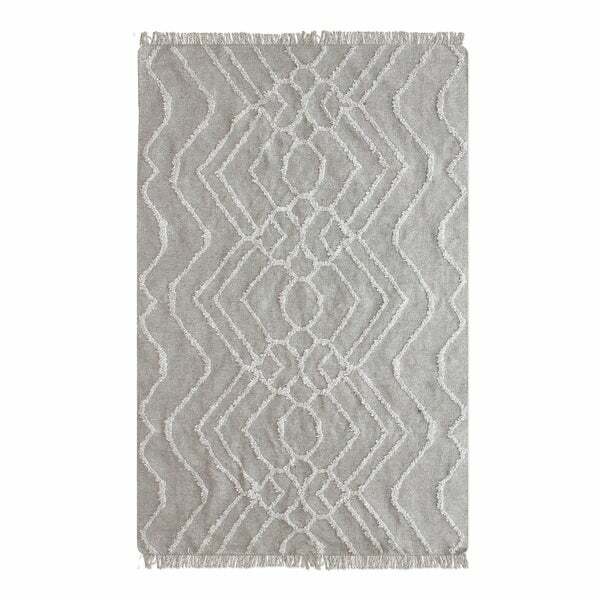 Hand woven grey wool, featuring a raised, tribal inspired, ivory design in a loop pile, accented with knotted fringe. Dimensions 96.0 In. X 60.0 In.